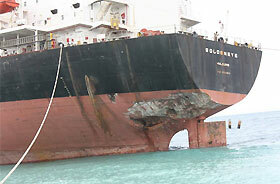 The 190 meter long, 52421 dwt bulk carrier Goldeneye sustained hull damage while berthed at Garcia Hernandez, Bohol, Philippines. 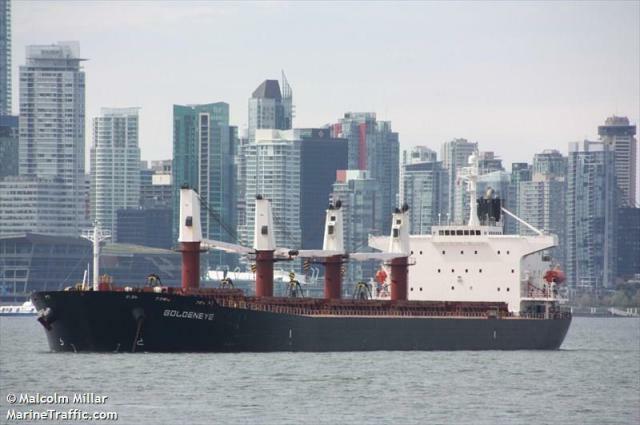 The bulk carrier, loaded with limestone, was moored when tropical storm Quennie sent the vessel against its berth. Waves pushed the Goldeneye onto a berthing dolphin, a fixed structure extending above the water. The vessel sustained multiple scrapes before it’s hull punctured three times in the vessel’s ballast tanks. The storm continued to slam against Goldeneye until it was pushed onto the top of a berthing dolphin. Reports state authorities are concern of potential pollution release with Typhoon Ruby approaching. The Goldeneye has some 300 tons of bunker fuel on board. Authorities have asked the crew secure the vessel and to offload the fuel. No reports of injuries or pollution released. 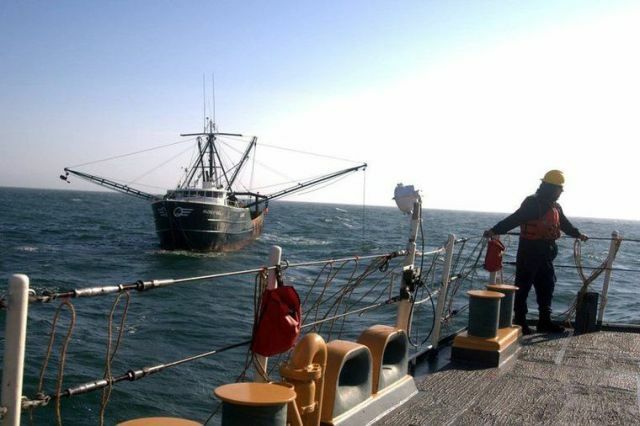 On December 3, the 90 foot long fishing vessel Madison Kate became disabled in the Great Round Shoal Channel near Cape Cod, Massachusetts. The turbine on the fishing vessel had failed and the vessel went adrift. The crew notified the Coast Guard who dispatched the cutter Tahoma from Portsmouth, New Hampshire. The cutter arrived on scene and assisted the crew with repairs. After a short period, it was determined that repairs could not be made and the Madison Kate was taken under tow. The 47 foot long lifeboat from Brant Point arrived a short time later and took over the tow from the cutter. The lifeboat and cutter proceeded to New Bedford. No reports of injuries, damage or pollution released.